Autcraft - Home - The First Minecraft Server for Children with Autism and Their Families - Autcraft.com - Autcraft is 5 years old! 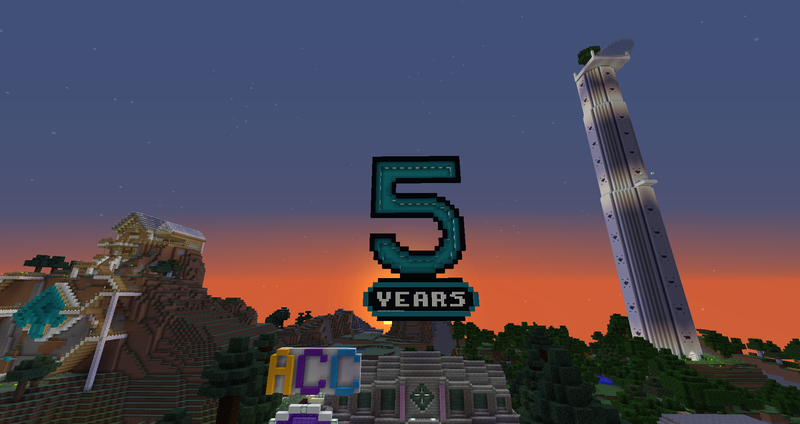 Autcraft is 5 years old! I can honestly say that on that day, I had no idea what I was getting myself in for. For most of 2013, I had been hearing from parents who said that their autistic children were being bullied on the Minecraft servers that they tried to play on. I was very busy with work, I had just separated from my wife and to be totally honest, I had dozens of reasons to not be starting any other projects that were going to cost me time and money. But I had to help. Over the years, we've had many admins come and go, moved hosting companies half a dozen times, had many YouTube celebrities visit, been in the news for over 3 years in a row, been featured on TED Talks, broken world records and more but you know what our greatest accomplishment is? 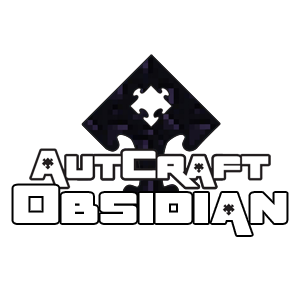 Early on into Autcraft's existence, it became very clear that I couldn't balance a job and be there for people on Autcraft at the same time because when those people needed me... there was no schedule, there was no waiting... there was no second chance. Since those early days, many others have joined me... some of whom whose lives have been saved by Autcraft who now are responsible for saving the lives of young autistic people themselves. Autcraft isn't just about saving lives though, it's also been proven to improve people's lives as well. Autcraft has been the subject of or included in multiple research projects, included in science magazines and best of all, recommended by doctors to patients/clients from all around the world. We've heard from some children whose age has doubled now since they first joined while others were starting high school when they joined and are graduating now. Those children tell us how much they appreciate Autcraft and the friendly, nurturing community it has given them. Autcraft, despite being whitelisted and closed off from the world, has shown everyone how terrific and gifted and generous and compassionate people with autism can be. This community has shown the world what a group of young, bright, creative and kind autistic people can accomplish when we all work together to build a better place. More importantly, we've shown ourselves what we're capable of. We've built up confidences, boosted morales, enriched our experiences and grown stronger together... not by any planned design but simply by supporting each other. Did I plan for any of this 5 years ago? Did I imagine any of this was possible 5 years ago? I had every reason not to. I was busy, I had no money, I was going through some rough times. Literally everything in my head and even everyone around me told me not to do it. I was even told by the judge presiding over the court case between myself and my ex-wife to leave the server and "focus on getting a real job." Instead, I left my job and focused on the server. Helping people isn't glamorous and it does not pay well. It always places demands on you that you often can't afford and people will tell you to quit and take care of yourself instead. Well, I'm here now, 5 years later, to tell you that if you care... if you really, really care so much that you have to help... and I don't just mean like, you really want to help, I mean, you have a need to help that is burning through your heart with every passing day that goes by when you aren't actually helping... when you have that need to help because you care so deeply... don't wait until you have extra time or money. Don't wait until everyone says you can. The world has a lot of people who care but not enough people who are brave enough or who care so deeply that they must take action no matter what the cost and I fear that right now we need those people to step up now more than ever. Don't do it to change the world or to be in the news or to have people love you... do it just because you have the need to do it. You'll find a way if your need is strong enough. You'll make the time, the money will come. People will take notice. First you have to do it. Because you have a need to do it. Because you care. Thank you for being a part of all of this over the last 5 years and I look forward to being with you and meeting more of you in the future because if the last five years has taught me anything, it's that I have no idea what is going to happen next and that anything is possible!